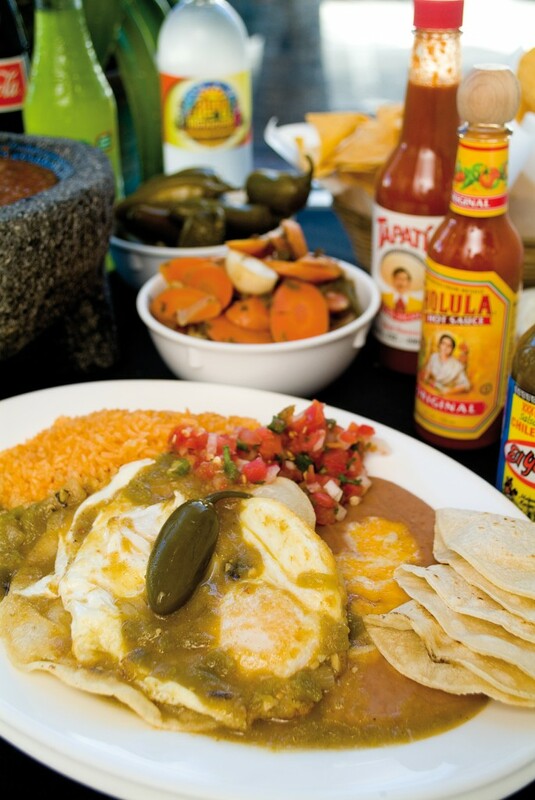 A corn tortilla fried lightly, two fried eggs topped with our homemade green chile sauce, served with rice, beans, Pico de Gallo and your choice or flour or corn tortillas. 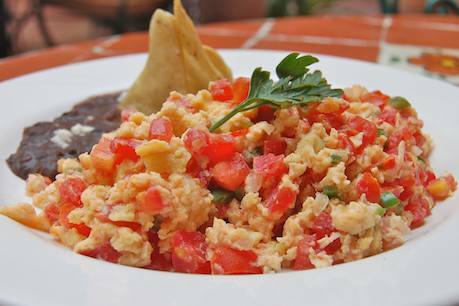 Two scrambled eggs mixed with our pico de gallo, rice, beans, guacamole and your choice or flour or corn tortillas. 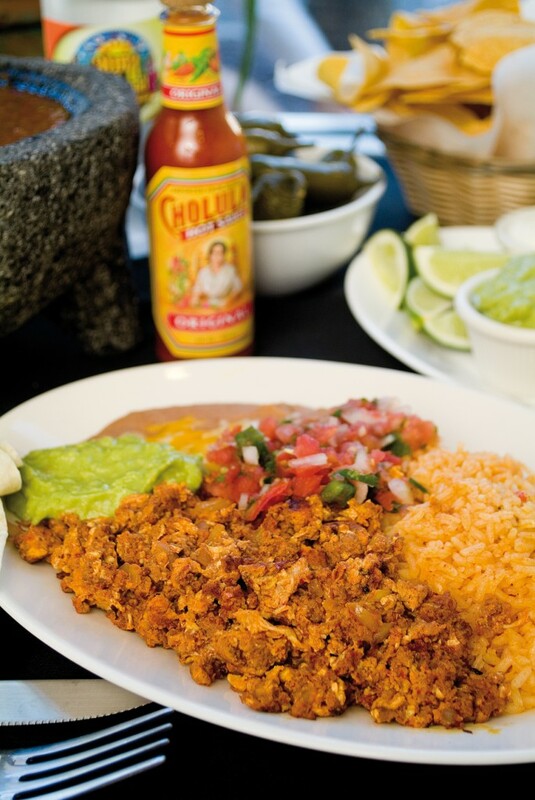 Two scrambled eggs with our homemade chorizo(Mexican Sausages) served with rice, beans, Pico de Gallo and your choice or flour or corn tortillas. 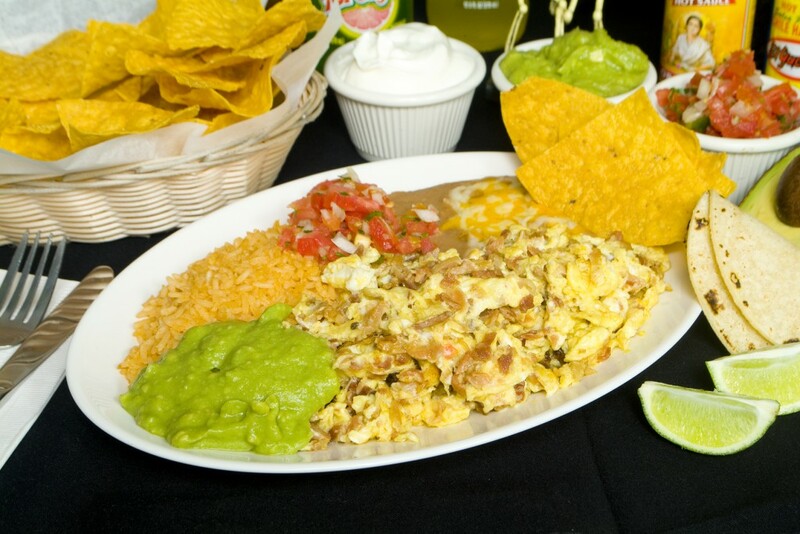 Two scrambled eggs with diced Bacon, served with rice, beans, Pico de Gallo, guacamole and your choice or flour or corn tortillas. 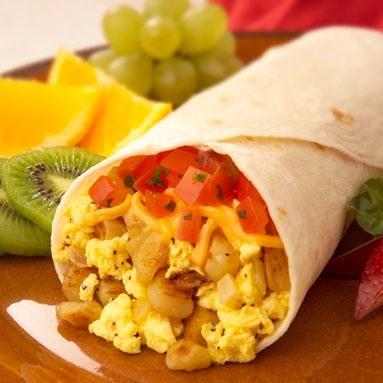 Flour tortilla rolled around with beans, eggs and cheese. 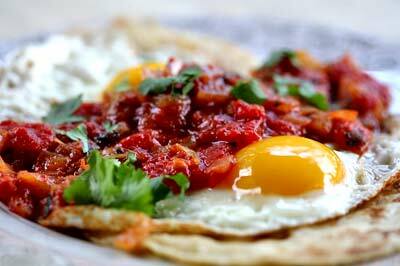 Two fried eggs separeted by a column of refried beans with tortilla chips, one egg covered with red sauce,while the other covered with green chile sauce.